 ASCENSION LINE- Part of the shielding process to draw in energy from the etheric to power yourself and your shields. CHANNELING- The transmission of information by allowing higher dimensional being to speak through the channel. In Mark's case, he would spend time with his family on the base while various speakers enter the channeling field set up on the base. These sessions had various speakers speaking through Mark's body with his permission and each has a unique way of speaking you can hear as each speaker enters the channeling field and starts to speak. FLOWERS- Uniquely Sirian, the flowers mentioned in the sessions have properties defined by their color. Pink flowers increase sensations and are worth the most. Others affect moods in positive ways. Highly non-addictive. GROUND- Part of the shielding process and is used to divert excess of negative energy out of the shields and into the Earth's core. HEALING- Energy work where you use the power of another's mind or your own to change the energy patterns of the body to bring healing. Crystals can also be used to amplify the energy. MANIFESTATION- The ability to draw together molecules with the mind to create something physical. Shielding is one of the easiest forms of manifestation. METACONCERT- The merging of at least four or more minds in harmony to achieve a purpose set by the executive of the metaconcert. A metaconcert can achieve wonders including the ascension of dimensions for a world. It comes with risks for and training in advanced energy work required. MONITORS- In the channeling room there would be three monitors put in place by the base which we couldn't see in the 3rd dimension. On the base would be one or two technicians monitoring them for energy of the channel, auras of the 3rd dimensional guests and visuals. REJUVENATION- After approximately 300 years, Sirians on the base go through a rejuvenation process to restore their physical age to that of someone around their 30's. Only two can be done within their 900 or so lifespan. SHIPS- The base has a fleet of ships that can cross into the 3rd dimension on patrols to monitor for ships of those 3rd dimension races who may not have the inhabitants of Earth's best interests in mind in their interactions with them. SIRIAN DEFENSE FORCE- an all-female, all-volunteer Sirian Defense Force. Not needed for defense of anything on the 6th dimension of course, the members of the force travel to 3rd dimensional worlds close to reaching the 6th dimension but are threatened by some force with reverting back or facing total destruction. SIRIUS- In the 3rd dimension, Sirius B is part of a binary star cluster with no life when the planet's atmosphere was burned away. In the 6th dimension, that never happened and is a paradise with a large population living in peace and harmony. TELEKINESIS- The use of the mind to move objects without touching them. TELEPATHY- The use of the mind to communicate with another mind without speech. THE 6TH DIMENSION- A dimension of higher energies, beings of the 6th dimension have learned the lessons of the third dimension and now use the eternal peace of their incarnation to assist those not yet on that dimension to reach it. THE BLUE GUYS- Known as The Blue Guys for the color of their skin, they are the base combat pilots. Their race is specifically geared for the extremes needed in those who patrol the 3rd dimension keeping our planet safe. Great people with a huge sense of responsibility as seen with Wing Commander Taal and The Baron who will be heard in quite a few channeling sessions. THE GREAT PYRAMID OF SIRIUS- The pyramid on Sirius that sheltered the 144,000 who came through when Sirius ascended form the 3rd to the 6th dimension. It still sits outside the capitol city and is a constant reminder of the sacrifice of those who participated in the ascension of Sirius. THE SIRIAN DEFENSE FORCE- Members of this group such as Lyka operate in the 3rd dimension assisting planets striving for the ascension of a higher dimension but are opposed by superior forces looking to maintain the status quo. Only women make up their ranks and only use what technology is available on the planet. They cannot use the advanced technology that would be available in the 6th dimension so they're sacrifice in the line of enlightenment is especially honored. THE WOOKIES- The base engineers, just think Chewbacca and that is the exact description one would associate with this race. Two things they are known for is their ability to manipulate the 5th dimension to suit their building needs and their love of snowboarding on the base's ski slopes. ZETA RETICULI- Also known as the Grays, this 3rd dimensional race operates from a hive mind and have been involved with many of the reported sightings and abductions. One of the revelations that came out o the intergalactic conference found on this site was that those who are abducted are will participants who are not fully aware of the consequences involved. One of those consequences was documented with Sarah, an abductee who had to be brought to the base after her rescue but could not be returned to her life due to the experimentation done. Her letter to us prior to her death is posted in the archives. A direct link is: Sarah's Letter.